Book description: From the author of Jerusalem Maiden comes a novel that tells the riveting story of an American woman—the daughter of Holocaust survivors—who travels to Russia shortly after the fall of communism, and finds herself embroiled in a perilous mafia conspiracy that could irrevocably destroy her life. An intriguing story about a woman who returns to the home of her parents, comparing the past history of her family with the present - Russia after the fall of communism. Things are far from perfect. There is corruption, discrimination, crime. A seeming lawlessness. Makes you wonder about the future of the country, even today. 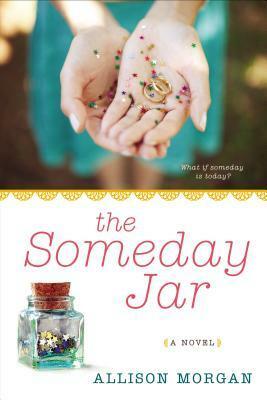 Thanks to TLC Book Tours and the publisher for an ARC of this book for review. I grew up in Grenoble, a French village nestled at the foot of the French Alps where the air was pure and clean and the mountain water icy crisp. My parents, Daniel and Florence Cathiard, my younger sister, Alice, and I lived on a farm with my maternal grandparents, Yvonne and Maurice, where we tended a vegetable garden and raised chickens and bees. My grandfather took me hiking all over the mountains, pointing out which plants were edible and which mushrooms were toxic, which herbs could cure a tummy ache and which would staunch a wound, which smelled intoxicatingly minty and which were so pungent they made my nose run. The Pleasure Principle is pretty simple. All it means is that your beauty routing should make you feel good at the same time it makes you look good. About the book: The book is divided into five parts. Part I - how to live a happy and healthy life the French way. French Beauty Secret: One of the easiest ways to decongest and hydrate your skin is with a cucumber. Make sure the cucumber is cold (it needs to have been refrigerated for at least twenty minutes). Slice it thinly, lie down, and apply slices all over your face. Remove after ten minutes. 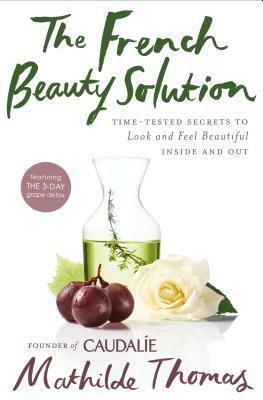 BOOK GIVEAWAY: The publisher is offering a copy of The French Beauty Solution to a U.S. resident. To enter to win, please send me an email at harvee44@yahoo.com with the title: French Beauty Solution Contest. Include an email address to reach you if you should win. Contest ends on July 6, 2015. A winner will be chosen at random and notified by email the following day to send a mailing address by July 9. Thanks for entering and Good luck! UPDATE: Congrats to Bellezza, chosen by Randomizer as winner of the book. Thanks to all of you who entered. Wish I had a book for each and every one of you! In spite of an all day rain, we went to the gym for some walking, stretching, and biking. It's been a strange, very wet spring and summer. I can only think this must be like Seattle weather. The garden is green, but swarms of mosquitoes rise up from the grass every time we set foot outside. I have had to buy calamine lotion! 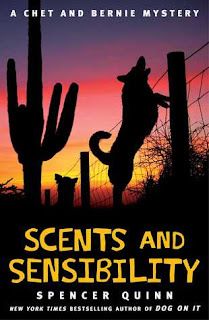 Scents and Sensibility: A Chet and Bernie Mystery by Spencer Quinn, to be released July 14, 2015 by Atria Books. I was delighted to get this book, having read his previous ones in the series. Chet is the PI dog who tells the story, from his limited but humorous point of view, and Bernie is his partner in the private investigator team. I am looking forward to a delightful read. 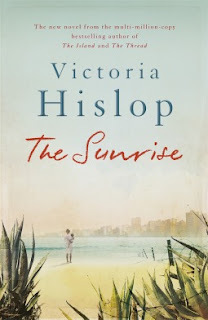 The Sunrise: A Novel by Victoria Hislop, to be published July 7, 2015 by Harper Paperbacks. "...a saga of survival set during the 1974 Cypriot coup d'etat that tells the intersecting stories of three families whose lives are decimated when brewing ethnic tensions erupt into conflict." 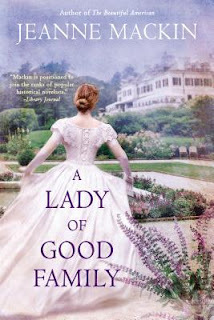 I have read a few of her other historical novels and am looking forward to this one. 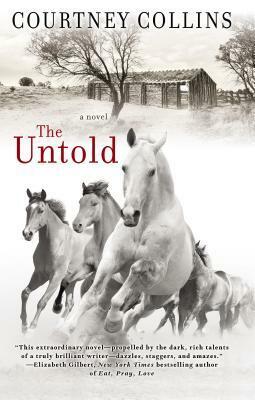 The Untold: A Novel by Courtney Collins, published June 2, 2015 by Berkley. 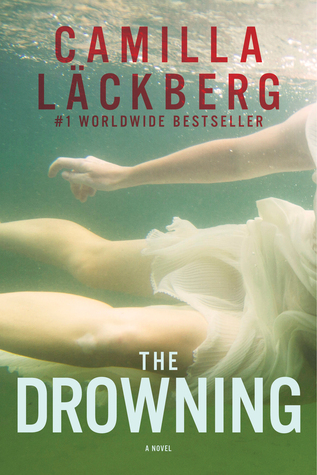 A book set in Australia, this one got my attention. The Truth and Other Lies by Sacha Arango, a mystery, five stars - book review next week. I'll be reviewing Hotel Moscow for a book tour next week, as well as The Truth and Other Lies. How about your book shelf? What will you be reading? The rain came again, harder this time. Charlotte pulled her knit hat tight, pushed up the collar of her gray wool coat, and stared through the chicken wire at the rabbits. Kate's prize rabbits. She entered the pen and chose a plump one, furry and warm in her cold hands. Its heart thumped like a tiny sewing machine. Charlotte brought it into the dim barn and stroked its fur until it calmed, trusting. She hesitated a moment - stealing from my own daughter - then picked up the butcher knife. "You are my downfall," he whispered. "My original sin." I am interested in this story of German prisoners in the U.S. during the war. It's a side of history I haven't read before. 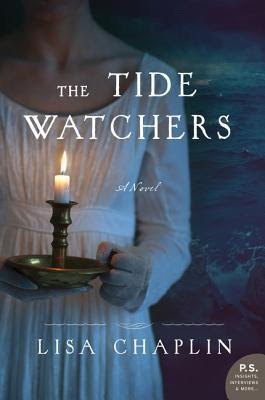 The Tide Watchers by Lisa Chaplin, to be released June 30, 2015; William Morrow. 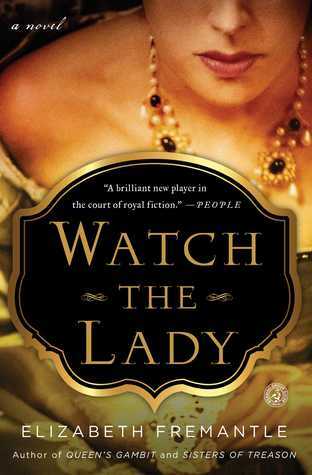 "... the story of a young woman who must risk her life as a spy to help stop Napoleon's invasion of Great Britain in the winter of 1803. The daughter of an English baronet, Lisbeth has eloped to France with her new husband. But when he abandons her, her only hope is to be reunited with her young son who is being raised by her mother-in law. A seasoned spy known as Tidewatcher, Duncan apprenticed under Lisbeth's father and pledged to watch over his mentor's only daughter while he searches the Channel region for evidence that Bonaparte has built a fleet to invade Britain. American inventor Robert Fulton is working on David Bushnell's "turtle"--the first fully submersible ship--when he creates brand-new torpedo technology, which he plans to sell to the French Navy. But when his relationship with Bonaparte sours, he accepts Tidewatcher's help to relocate to the French side of the Channel, but he refuses to share his invention. Tidewatcher must get that submersible, along with someone who knows how to use it, to uncover Bonaparte's great secret. Lisbeth is asked to pose as a housekeeper and charm Fulton so she can learn to use the submersible before the invasion fleet sails--but is she willing to sacrifice her heart when she's already lost it to another...? Rain has spoiled some planned events this weekend. The hydrangeas we planted last year are beginning to bloom. The McKinley sour cherry tree has lots of ripe fruit, being shared with the squirrels and robins. I picked some to stew with sugar for tarts or cherry juice! Of course, the grass needs mowing....again. 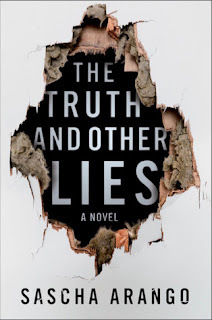 The Truth and Other Lies by Sascha Arango, to be released June 23, 2015; Viking. 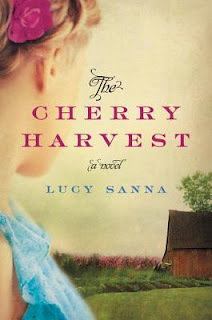 I am on chapter 5 and finding the plot intriguing so far. A famous and wealthy author hides the fact that his reclusive wife, a prolific writer, is the true author of all his books. 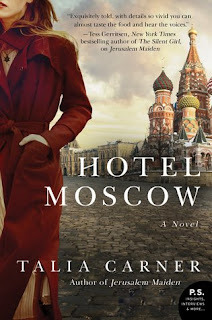 Hotel Moscow by Talia Carner, for a book tour on June 29. Has the weather been good to you this summer? How about your reading? The wax sizzles as it drips, releasing an acrid whiff. Penelope presses in her seal, twisting it slightly to make it unreadable, wondering if it - this letter- is folly, if it could be construed s treason were it to fall into the wrong hands. "Do you think..." she begins to say to Constable, who is standing at her shoulder. "I think you risk too much." Book description: The daughter of the Queen’s nemesis, Penelope Devereux, arrives at court and finds herself in love with one man, yet married off to another...She and her brother, The Earl of Essex, are drawn into the aging Queen’s favour but his enemies gather and Penelope must use her political savvy to prevent the unthinkable from happening. Told from the perspective of Penelope and her brother’s enemy the politician Cecil, this story, wrought with love, hatred and envy, unfolds over two decades in which we see the last gasps of Elizabeth’s reign, and the scramble for power in a dying dynasty. It has been raining almost daily, so it's been easy to sit and read. What an unusual summer! I think my garden may have enough rain now, thank you. I wish I could send our rain clouds to California! I love food-based books, especially ones with recipes included! Just reading about candies, pastries, and tasty dishes makes me feel as if I had tasted and sampled them all. And that's better for my waistline than actually indulging in all the goodies! "It's so beautiful," I practically cooed at the plain clay bowl sitting just inches from my face behind the glass. My fingers were itching to hold it. "My niece could do better. ": My assistant manager Kona laughed at me as she scooted by with a silver, multitiered tray of appetizers to place on a small table. Michelle and Erica host a reception highlighting a new museum display of ancient Mayan pottery curated by Erica’s former mentor, Professor Addison Moody. The ladies offer servings of wine and chocolate. 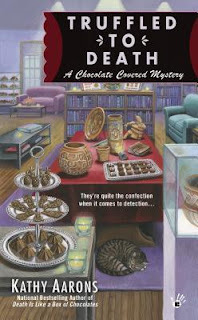 The next day, the antiquities from the reception are discovered missing. The professor accuses Erica of having sticky fingers. And she’s only in more trouble after he’s found stabbed with one of the artifacts. Michelle must help Erica track down the real killer. Recipes include Banana Foster and Mocha Truffles! 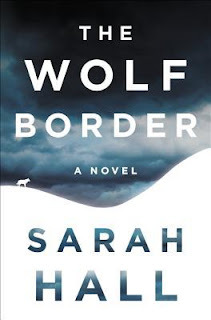 The Wolf Border: A Novel by Sarah Hall, published June 9, 2015, Harper. It's not often she dreams about them. During the day they are elusive, keeping to the tall grass of the Reservation, disappearing from the den site. They are fleet or lazy, moving through their own tawny colourscape and sleeping under logs - missable either way. Their vanishing acts have been perfected. At night they come back. The cameras pick them up, red-eyed, muzzles darkened, returning from a hunt. Or she hears them howling along the buffer zone, a long harmonic. One leading, then many.At night there is no need to imagine, no need to dream. They reign outside the mind. Zoologist Rachel Caine leaves the wildlife park in Idaho where she has worked with and studied its sizable wolf population. She returns home to Cumbria in England where she reconnects with her mother and her younger brother, having secured a job with a wealthy Earl to reintroduce the grey wolf to the British Isles. Two wolves would be imported from Romania, a breeding pair, and confined in a large enclosed and self sustaining park in the Lake District area. The novel makes the assumption that Scotland wins independence from Great Britain and becomes an independent nation. It also makes the assumption that a wealthy Earl has received government permission to use parts of Great Britain's nature preserves for the proposed wolf enclosure. I also liked the character of Rachel, the reluctant zoologist, who at first had turned down the Earl's offer to work with his wolf project, but accepted it later on under duress when she has to leave Idaho for very personal reasons. How Rachel copes with her personal life, her formerly estranged family, and her love interests add a lot to the whole story of her involvement in the wolf project. 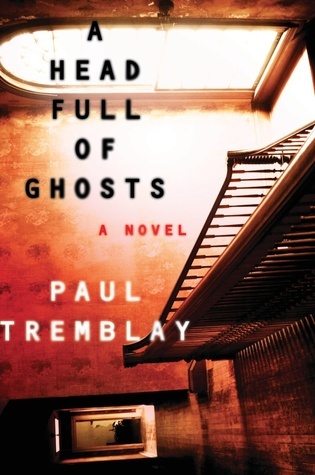 Rating: Excellent plotting, characterization, and writing made me easily give this novel five stars. Sarah Hall was born in 1974 in Cumbria, England. She received a master of letters in creative writing from Scotland’s St. Andrews University and has published four novels. Haweswater won the Commonwealth Writers’ Prize (overall winner, Best First Novel) and a Society of Authors Betty Trask Award. The Electric Michelangelo was shortlisted for the Man Booker Prize, the Commonwealth Writers’ Prize (Eurasia Region), and the Prix Femina Étranger, and was longlisted for the Orange Prize for Fiction. Daughters of the North won the 2006/07 John Llewellyn Rhys Prize and the James Tiptree Jr. Award, and was shortlisted for the Arthur C. Clarke Award for science fiction. How to Paint a Dead Man was longlisted for the Man Booker Prize and won the Portico Prize for Fiction. 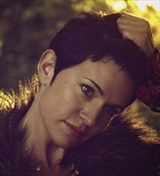 In 2013 Hall was named one of Granta‘s Best Young British Novelists, a prize awarded every ten years, and she won the BBC National Short Story Award and the E. M. Forster Award from the American Academy of Arts and Letters. 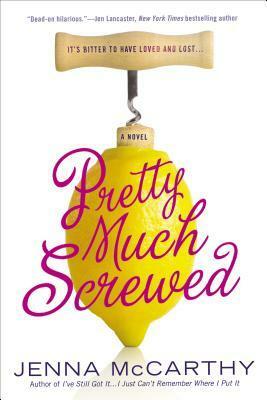 Check the TLC tour schedule for other reviews of the book. Thanks to the publisher and TLC Book Tours for a review galley of this novel. When their mother, Gloria, announces she’s coming for an unscheduled visit—with her new boyfriend—no one is more surprised than their father, Arthur, who has not quite gotten over his divorce. Is this a book you would wait for? It will be released in about a month. The wind was coming out of the northeast, blustery and heavy with salt. It stung the woman's cheeks, turning them the color of her bright red Windbreaker. Thick strands of hair flew about her face, wild and free - like the sea she was beginning to call home. After days of warm sun and soft breezes, the weather had suddenly turned. But she loved it in all its guises - foamy surf crashing against the rocks or water smooth as silk, a chilly wind or sun-warmed sand. Each day was new and amazing and comfortable, as if she'd been born to this place. It had been fortuitous to travel halfway across the country to this strange little town where she knew no one, yet she felt as if she'd finally come home. Book description: Autumn brings a mysterious new guest to Sea Harbor, and when she’s implicated in a crime, it’s up to the Seaside Knitters to search out a motif for murder. Based on the first paragraphs and teaser, would you keep reading? ...to heal their friendship and their broken lives, the three women will have to return to the lake that once united them, and discover which relationships are worth holding on to. Scotland, 1831. 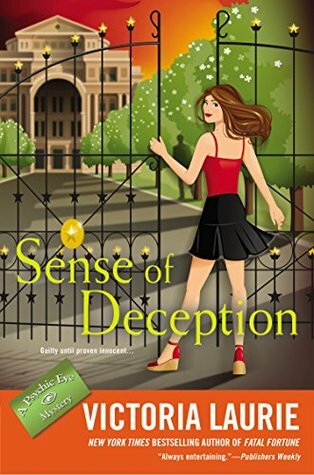 Lady Kiera Darby is thrilled to have found both an investigative partner and a fiancé in Sebastian Gage. Sense of Deception: A Psychic Eye Mystery #13 by Victoria Laurie, to be published July 7, 2015 by NAL. 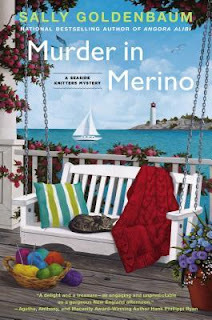 Abby Cooper senses a convicted killer is innocent, but she’ll need hard evidence to save the woman before it’s too late… Abby's finely honed intuition tells her this woman doesn’t belong behind bars. The Wolf Border by Sarah Hall for a June 12 book tour. Slated for Death by Elizabeth J. Duncan, a mystery set in Wales that I gave five stars! The Cat Sitter's Whiskers by Blaize and John Clement, a cozy that I also rated five! Love May Fail by Mathew Quick, a novel that started out as a five for me but then went to three stars for wandering off into another story altogether before getting back to the main one. What have you read last week? Karen gazed through the plate-glass window, her eyes wandering over the divots In the ground where the bus had crashed a month ago. She rubbed the side of her cell phone absently, her fingers bumping over the volume buttons, her fingernail scratching up against the SILENCE switch. Oh, how she'd love to "accidentally" flip that switch. If she never heard the phone ring, she wouldn't have to talk to anyone, right? She wouldn't have to answer the next time Kendall called. But she knew even if she did silence it, the peace would be short-lived. Kendall would only show up at her house or, worse, at her job, expecting her to pull strings she didn't have to make things easier for a son whose hide she wasn't sure she wanted to save anymore. If she'd been out of the shower before he'd left, he would have planted those kisses right in the middle of her forehead. He would have pulled her in close, whispered into her hair something positive and encouraging - something about them getting answers today. 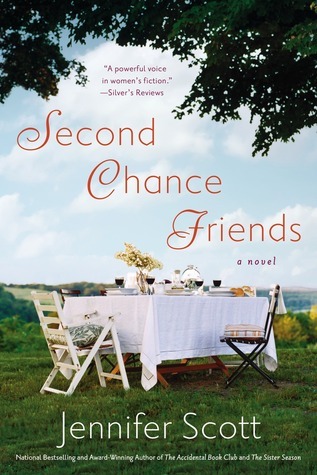 Book description: Karen Freeman, Melinda Crocker, and Joanna Chambers have never met—but every morning they get their coffee at the Tea Rose Diner. Their paths may have never crossed. 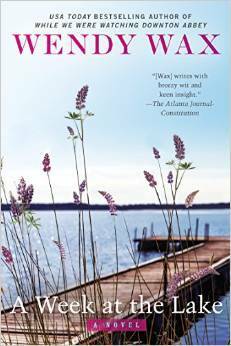 But one morning, on the lawn of the Tea Rose, the three women collide during a searing event in the life of twenty-something Maddie Routh. In the nine months that follow, they return to the spot over and over. To discover what it means to be a mother, a wife, a lover, a friend. To find Maddie Routh. Despite the challenges they’ve faced, these four women unite to show us second chances do exist, if only we have the courage to see them. 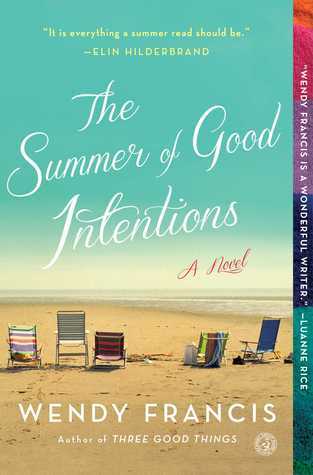 I'm looking forward to reading this one this summer! I often like trolling the library for new books and new-to-me writers. 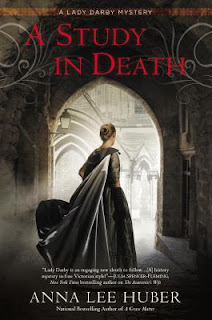 I found Slated for Death, set in Wales in the old slate mines that are now closed except to tourists and school groups.Though the slate industry ran for a couple centuries in north Wales, this mystery novel is set in the present time. Book description: When the body of well-liked Glenda Roberts is discovered at the bottom of a former slate mine, now a busy tourist attraction, pandemonium erupts in the North Wales town of Llanelen. 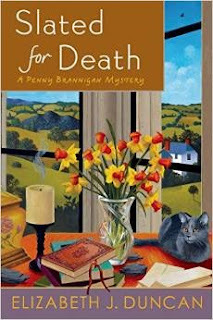 Penny Brannigan finds herself drawn into the investigation .... A visit to Glenda’s mother deepens her conviction that a hidden family secret is the real reason for the murder. 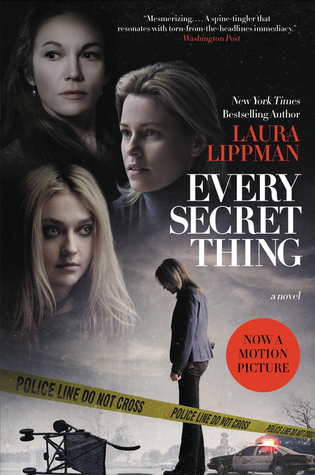 I'm enjoying it so far - the setting and the characters.